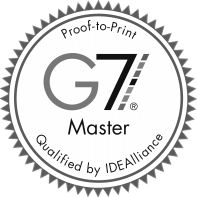 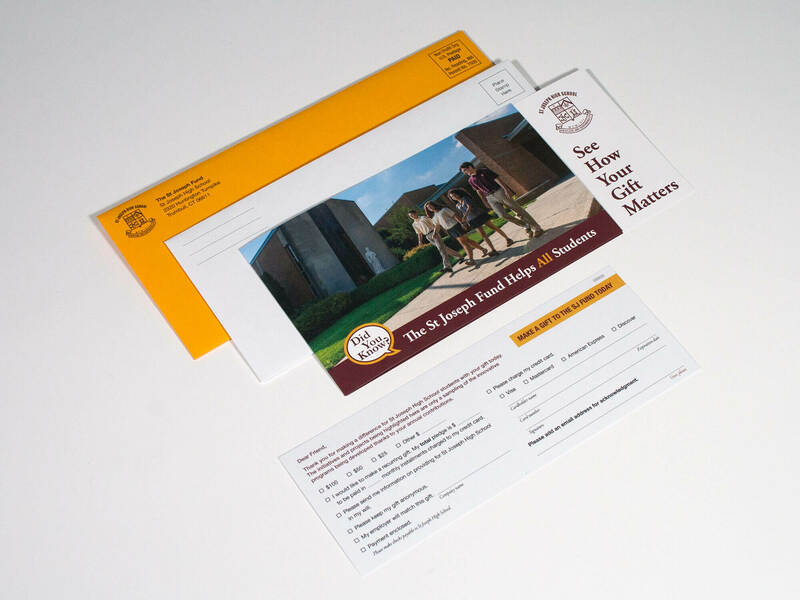 Grab the attention of donors or customers with the use of colored envelopes? 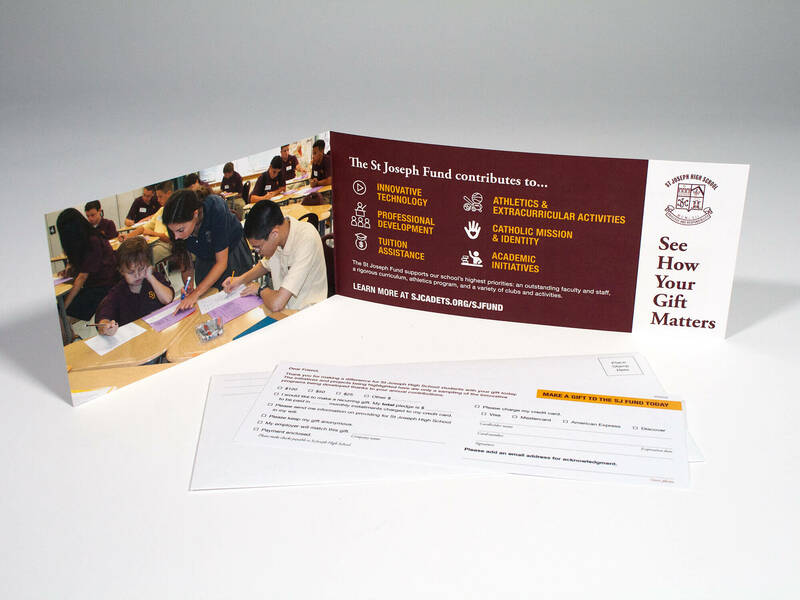 This fundraising package for St. Joseph High School was mailed in a bright safety yellow envelope which really stands out! 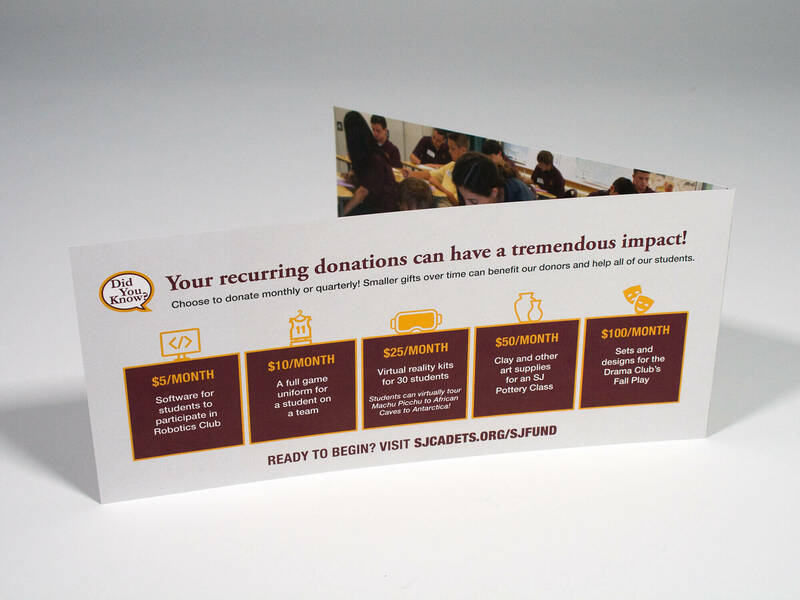 Once donors opened the package they were greeted with a personalized message and a reminder of their last gift amount—which greatly increases the odds of repeat donations! 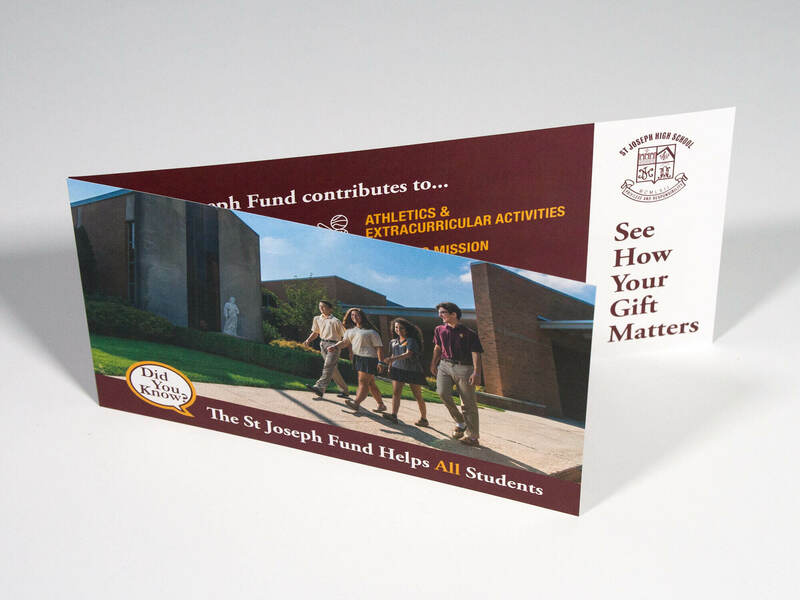 The included brochure also featured a short fold panel on the front which is a cost-effective way to make it a little more unique than standard #10 envelope formats.